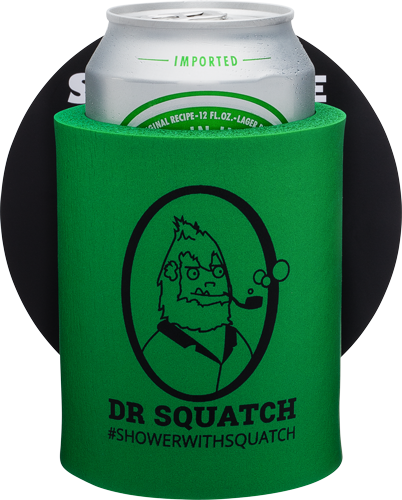 At Dr. Squatch we try to bring nothing but the dopest, freshest, and raddest products to your man-shower, which is why we're debuting the Dr. Squatch shower koozie. Whether you're starting your day off right (no judgments here...) or capping it off properly, this bad boy has your back be-kooz you deserve it. The Dr. Squatch shower koozie is powered by the Shakoolie velcro suction mat that attaches to your shower. It contains the black suction mat, and koozie. Attach the black mat to your shower and then to the koozie with the velcro. The koozie is easily removable for post shower celebration as well.